In 1806, Captain William Clark of the Lewis & Clark Expedition paused at a sandstone butte about 25 miles east of Billings in Eastern Montana. 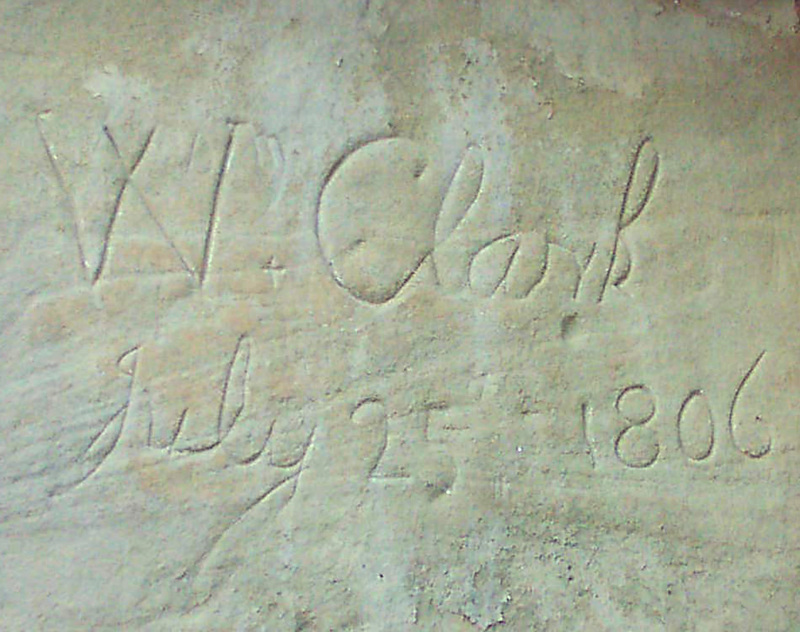 He carved his signature onto the face of the 150-foot butte. The signature can be seen today, over 200 years later. The Native Americans called the pillar “the place where the mountain lion lies.” Clark renamed the site Pompey’s Pillar after the child of the famous Native American woman, Sacajawea. It’s well worth the hike up the tall pillar to see Clark’s signature and the extraordinary view of the Yellowstone River. Eastern Montana is a unique, out-of-the-way place to experience the still wild American Old West, complete with modern-day cowboys and Native American tribes. Readers will experience this historic region in my soon to be published novel, Murder in a Teacup.